Sara Beth Cutter returned to her home in Hawai‘i in 2010, where she specializes in luxury residential real estate as a Realtor-Associate with The CHOI Group, an exclusive division of Hawai‘i Life, the state’s leading luxury brokerage firm. 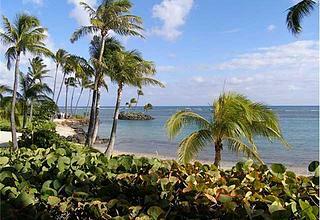 Her expertise lies in East Honolulu with an emphasis on the Kaka‘ako, Waikiki, Kahala, Diamond Head and Hawai‘i Kai areas of O‘ahu. Sara brings 25 years of marketing experience to bear on her role. She has represented buyers and sellers in a broad spectrum of real estate transactions in her career, which has taken her from California to Texas, and back home to Hawai‘i. She is an active member of the National Association of Realtors, Hawai‘i Association of Realtors, and the Honolulu Board of Realtors. She has earned respected professional designations including the Graduate of the Realtor Institute (GRI), Seniors Real Estate Specialist (SRES), and Accredited Buyer’s Representative (ABR®). Sara earned a degree in Broadcast Journalism from the University of Nevada, Las Vegas. Inspired by her love of music, she worked in the fast-paced broadcast industry for seven years as the Promotion Director at Lotus Broadcasting Corporation, where she expertly marketed their adult-orientated rock and adult-alternative stations. Sara flourished in this multi-faceted role due to her polished marketing skills, attention to detail and caring interpersonal manner. She became adept at many facets of media while developing, writing and directing a weekly TV show entitled The Rock of Las Vegas. She conceptualized and created The Rock Report, a monthly promotional newsletter. She executed promotions that included charity rock auctions and morning show programming, and worked with high-profile musicians like Metallica, Bon Jovi, Stone Temple Pilots and Meatloaf at concerts, meet & greets, and in-studio sessions. In 1995, Sara moved to Santa Barbara with her daughter, joining her family’s automobile dealership as the Director of Marketing for Cutter Motors. She was tasked with marketing strategy and strengthening the Cutter Motors’ brand in the community. Here, she honed her skills in luxury brand marketing, representing Mercedes Benz, Jaguar, BMW, Porsche, Audi, Land Rover, Infiniti and Cadillac. Sara’s ability to connect with the community and clients made her hugely successful in this role. She created and executed print, radio and television campaigns, special events, non-profit sponsorship programs, and customer incentive programs. She learned the value of exceptional customer care and service, and began to recognize the high expectations that come with making a big-ticket, life-changing purchase. After many years of living in Santa Barbara, Sara’s extensive knowledge of the area, coupled with her creative marketing talents, enabled her to launch a successful real estate career in 2004. She never looked back. Real estate was the perfect match for her luxury marketing and promotional skills, not to mention her business acumen and professionalism developed through years of high-level marketing. Sara was also licensed in Dallas, Texas where her entrepreneurial spirit led her to establish a successful small business, which she shepherded from concept to reality in an upscale Dallas neighborhood. Sara’s common-sense approach to each of her life’s endeavors has helped build her great reputation for professionalism and business acumen. 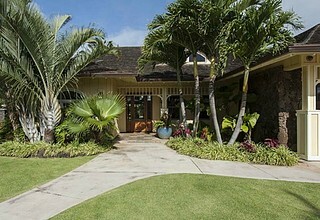 In Hawaii, Sara Beth Cutter’s warm and engaging personality, paired with her exceptional marketing expertise, make her a sought-after advisor for buyers, sellers and investors. Sara crafts customized and effective marketing strategies tailored to each of her clients. She is driven by a deep and abiding desire to exceed their expectations, in every transaction. Sara is committed to providing the highest level of personal service as well as assuring a lasting relationship with her clients. On her off days, you’ll find her enjoying her Hawai‘i life, by spending time with her family and caring for her four-legged friends at a ranch in the heart of Waimanalo. An avid equestrian, she spends most of her free time riding and indulging her love and passion for horses. Buy or sell your next home or investment property with Sara Beth Cutter, a true partner for real estate success. I wanted to reach out and thank you all again for the courteous and professional manner in which you handled the sale of my vacation home. With special thanks to Sara Cutter for all her efforts and attention to detail that allowed the transaction to proceed without any difficulty whatsoever. Having my principle residence on the east coast of the US made it nearly impossible for me to take care of all the documentation and leg work involved. Thanks to Sara and her tireless efforts all I needed to do in the end was sign my name. I couldn’t have done it without her. If I ever decide to return someday, it’s good to know I can just give Sara a call. 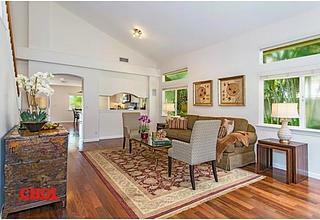 Please know how pleased we are with the home sale experience we had with your agent Sara Cutter. Her professionalism and dedication were obvious from the start. 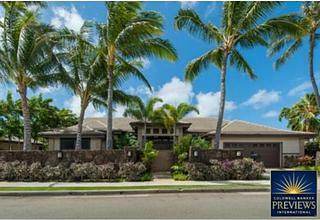 She provided excellent advice at every stage of the listing and throughout the sale of our Hawaii home. Until recently I worked as a realtor in the Washington DC metro area and know how competitive the business can be in a fast-moving market to both get and keep a client and to achieve a closed transaction. Sara’s superb marketing skills and unparalleled dedication to showing our property – I know she personally showed our condo to 56 potential buyers, perhaps more – produced several offers and a successful sale all in about three months. She is a far more effective realtor than I ever was. I know she will continue to contribute tremendously, both to your brokerage’s financial well-being and professional reputation. I would also like to thank Sara and Choi International for being part of the “Military on the Move Program.” The savings you allowed us definitely helped our bottom line on this sale. Your support of present and past service members is sincerely appreciated.